Lovely lace ballgown style wedding dress. Three layers of skirt, the first is a layer of tulle, the second is the satin underskirt, and the third is lace. Back metal zipper. Label: No label, but very well-made and appears commercially made. Condition: Almost perfect, except for the two small holes on the underskirt in front. The larger one is just smaller than a dime. A simple patch job will fix this, as the lace covers most of the boo boo. 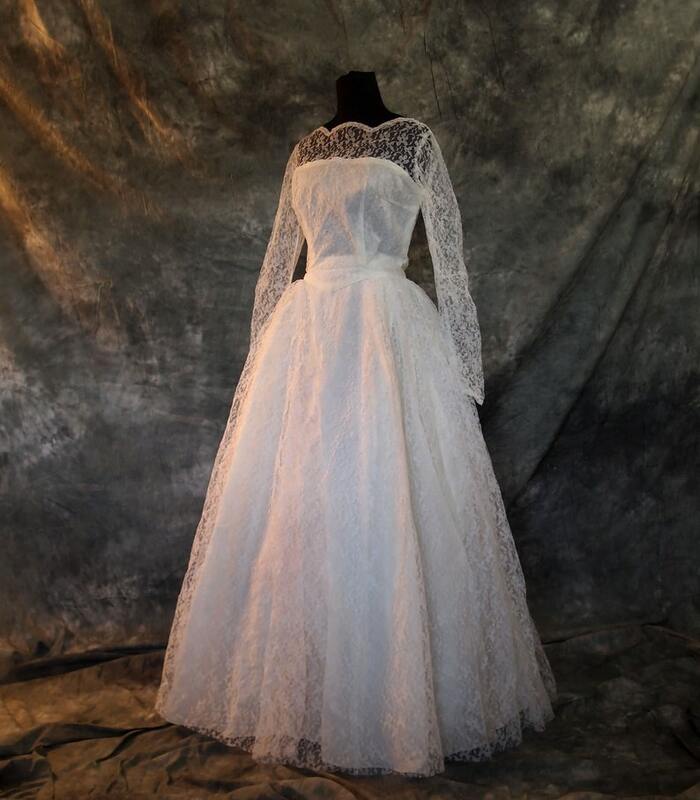 Dating information: This is a synthetic, machine made lace and the dress appears almost new. For that reason, I would say it is 60s rather than 50s.